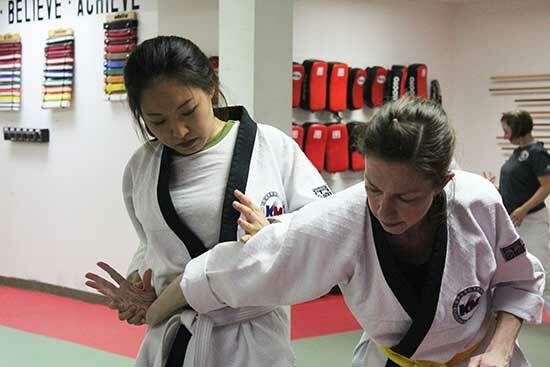 Jiu jitsu school Toronto North York location with adult-friendly classes for women and men. T.H.A Martial Arts & Kickboxing is a Korean Jiu Jitsu school Toronto, offering classes for adults and kids. Now, here’s the thing, a Brazilian Jiu Jitsu School Toronto is what some today commonly think of martial arts training. Martial arts has come a long way, especially with the popularity of Jiu Jitsu and Submission Grappling events in the media. The real strength in our classes is not in what styles we teach but how we teach them. How is Korean Jiu Jitsu different from Brazilian Jiu Jitsu? The word Jiu Jitsu means “Soft” or “Supple” skills in Japanese. While both arts’ lineage can be traced to Japan, they each have clearly different emphasis in their skill sets. Brazilian Jiu Jitsu today is one of the most popular martial arts for its formidability in ground fighting. Korean Jiu Jitsu balances stand-up self techniques with fundamental self defense skills when on the ground. Both arts are not quite the same. Since its inception in Korea in the 1950s, it has evolved into what we now know as Hapkido in mordern times. Tap into your ultimate potential, relieve stress, gain greater confidence, and break some serious sweat. 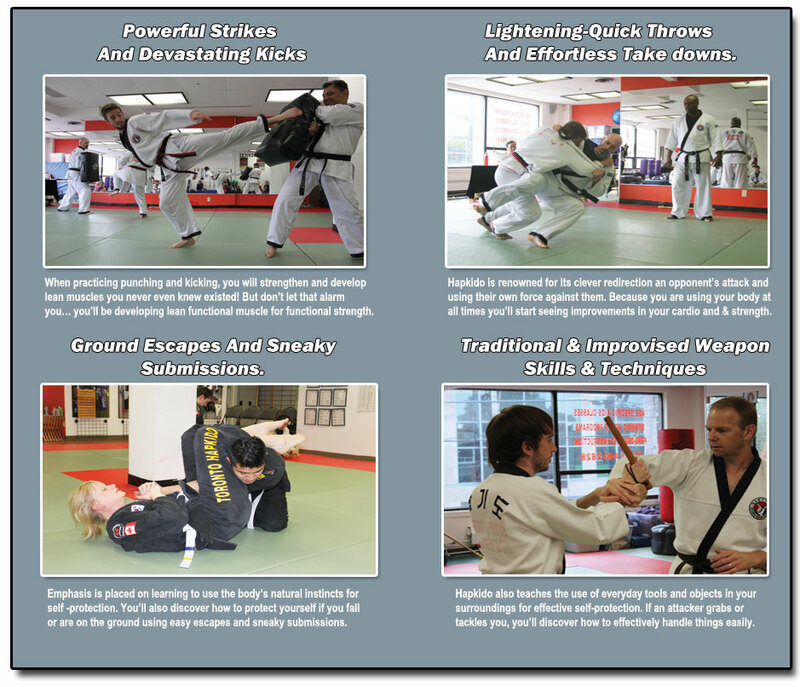 Although some of the techniques you will learn are similar to moves you might see in Brazilian Jiu-Jitsu (BJJ), Judo, Submission wrestling, Sambo, etc, our classes offer a bigger picture of the martial arts lifestyle. As a Korean Jiu Jitsu School, we are committed to help students achieve their personal best with classes that test their physical and mental boundaries in a fun, safe, and beginner-friendly environment. 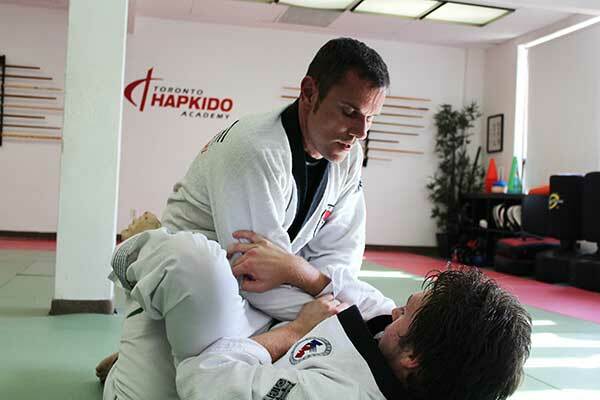 Hapkido is a progressive Korean martial arts system that evolved from Japanese jiu jitsu. Classes are structured to help members take their training to another level regardless of experience. Our programs help students achieve their personal best by learning how to test their physical and mental boundaries. Our submission grappling classes are geared towards members looking for a rewarding experience in the Martial Arts, while increasing their fitness, cultivating an unshakable will, and gaining self defence skills. Experience a Korean Jiu-jitsu School with classes geared to the adult who is looking for a rewarding experience in the Martial Arts, while increasing their fitness, flexibility and knowledge of self-defense. T.H.A Martial Arts happens to be the only Gongkwon Yusul affiliate clubs in the Greater Toronto Area, and one of the few in the province. We offer a comprehensive martial arts program in a fun, safe, non-competitive, and supportive environment for men and women. If you live in or around Yonge-Eglinton, Leaside, Don Mills, Davisville, Bayview Village, East York, Yonge-Sheppard, or North York, you are close enough to come train at our school. Contact us today to schedule a trial class. You’ll love what we do!